Dr. J. Doug Stringer is the Founder and President of Somebody Cares America and Somebody Cares International, a global network of chapters, centers, affiliate and partner churches and organizations working together to bring hope and healing to their communities through Prayer initiatives, Compassion outreaches and Cooperative efforts. The collaborative network has grown rapidly and now impacts communities and cities around the world. What began as an outreach to the inner city and homeless in Houston, Texas in 1981, has become a clarion call for us to cross our ethnic and denominational barriers to be a tangible expression of Christ to our communities. His years of ministry experiences have taken him to numerous communities and nations; from urban to foreign fields; from garbage dumps to the palaces and halls of government leaders. As an Asian-American, born in Japan, Doug is considered a bridge-builder and ambassador. Doug is an internationally sought after speaker, author, and consultant to community groups, churches, civic, city and national leaders. Doug has spoken to and ministered to thousands of pastors, ministry leaders, as well as governmental leaders at conferences and conventions over the last few years alone. From preachers to politicians, he has brought messages on Courageous and Persevering Leadership through challenging times. He has been a contributor and sited in numerous publications, articles, and books in various languages. Doug as authored numerous books, including: It’s Time to Cross the Jordan, The Fatherless Generation, Somebody Cares, Who’s Your Daddy Now?, Born to Die, Living Life Well: A Look at the Spirit of the 10 Commandments, and most recently, In Search of A Father’s Blessing and Leadership Awakening: Foundational Principles for Lasting Success. He has also been credited as a contributing author in The Maximized Living Bible and The Revival Study Bible. Doug has been on numerous radio and television programs, and often serves as a guest host on local networks. The Governor of Texas recognized the work of Doug and Somebody Cares in the State of the State address in January 2009 for the relief work in the aftermath of Hurricane Ike. Those efforts were also recognized by the Houston Texans NFL football team–along with then Houston Mayor Bill White, Harris County Judge Ed Emmett. and Governor Rick Perry–during a halftime presentation. Somebody Cares has implemented several citywide strategies now multiplied in cities across the nation, including mentoring programs, anti-gang initiatives, and at-risk youth intervention training. Somebody Cares has become a model connecting needs with resources during several natural and human calamities, including the recent disasters from tornadoes in the U.S., earthquakes and tsunami in Japan, the Haitian earthquake, and previous disasters such as Hurricanes Katrina, Rita and Ike; the Indian Ocean tsunami; and the Asian economic collapse of 1998. Charisma Magazine named Doug as one of the Top News Makers of 2008. Doug is recognized for his contributions in both secular and sacred arenas, including receiving Congressional Recognitions for the work of Somebody Cares, and receiving the Barbara Jordan Leadership Award in 1995 by the United Cerebral Palsy of Greater Houston. Doug has served or currently serves on local, national and international boards. He has served on the Board of The One Star Foundation, appointed by the Governor of Texas. 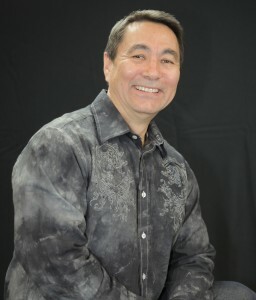 He is the Co-Founder of The Global Compassion Network, serves on the International Advisory Board of The Geneva Institute for Leadership and Public Policy, has served on the national facilitation committee for Mission America, the board of The Sentinel Group (Transformation Documentaries), and others. He has served on various panels, including a forum hosted by the Heritage Foundation in Washington D.C., as well as being listed as one of their policy experts. Doug is a Licensed Clinical Pastoral Counselor. He has received honorary and earned degrees from various colleges, including a Ph.D. in Leadership and Human Development and the Doctorate of Humane Letters from Logos Graduate School; a D.Min. from New Covenant International University; an honorary Doctorate of Divinity from Cornerstone University; and a Pastoral Certificate in Practical Ministry from Regent University.